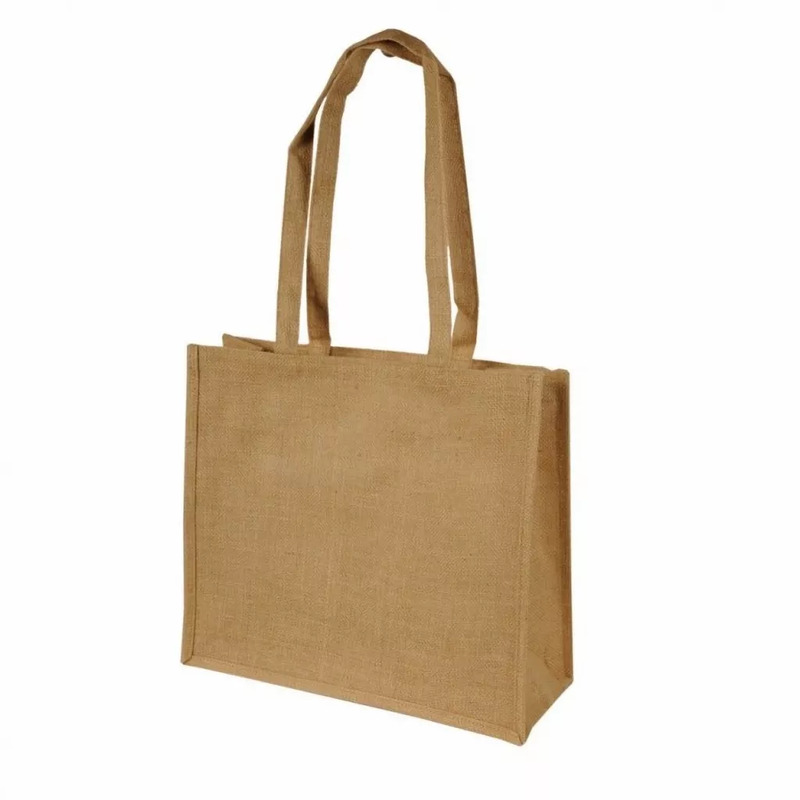 Good capacity jute shopper with gusset and long handles. Dimensions: 35 x 39 x 15 cm. Decoration area: 28 x 20 cm. Suitable for screen printing or embroidery.